2017 Solar Eclipse viewed in Jackson Hole Wyoming. When shooting the 2017 eclipse I left the white balance in cool tones from shooting the Milky Way the night before. I really like the effect. This is a blend of 10 different images in order to enhance the solar corona. 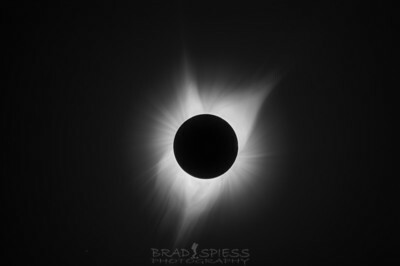 I found that I really liked the simplicity of the eclipse in black and white format. The 2017 Solar Eclipse with a more neutral color cast. 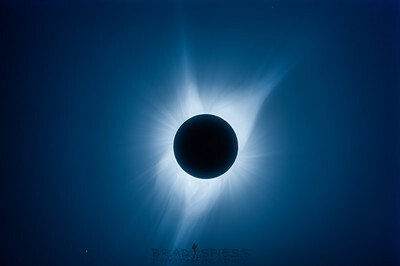 A single exposure of the 2017 Eclipse with solar flares clearly visible on the top and right side of the sun. 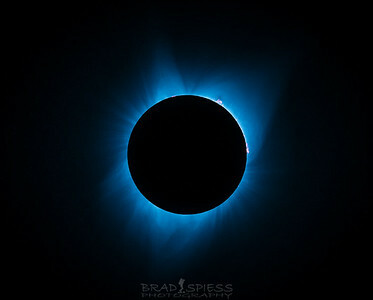 A compilation of photos that made up the 2017 Eclipse.